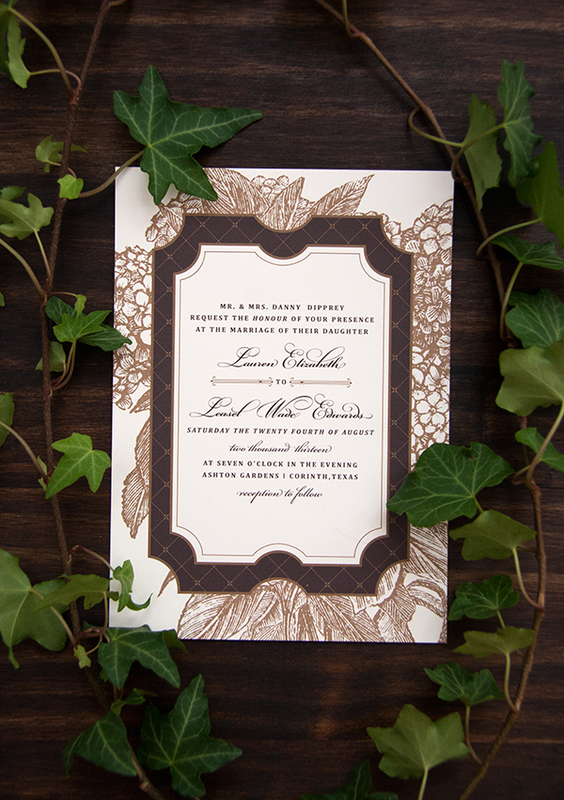 This elegant garden inspired wedding branding system for Lauren + Wade celebrates soft, romantic grace & classic glamorous style with a sophisticated contemporary edge! 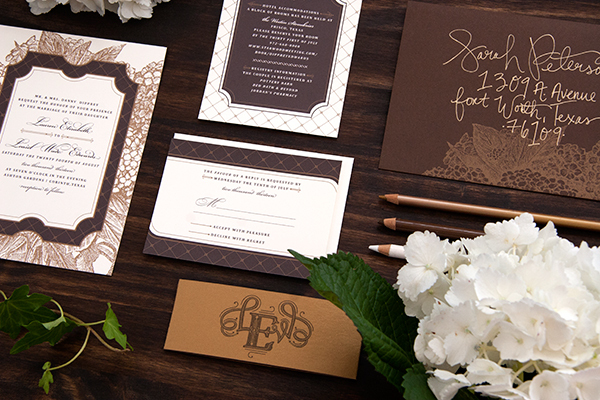 With its delicate line work, wood cut block style illustrations, decorative flourishes, intriguing splashes of metallics, modern yet classic typography & distinct monogram, these Lovely Paper Things helped to celebrate a fabulous evening soiree! 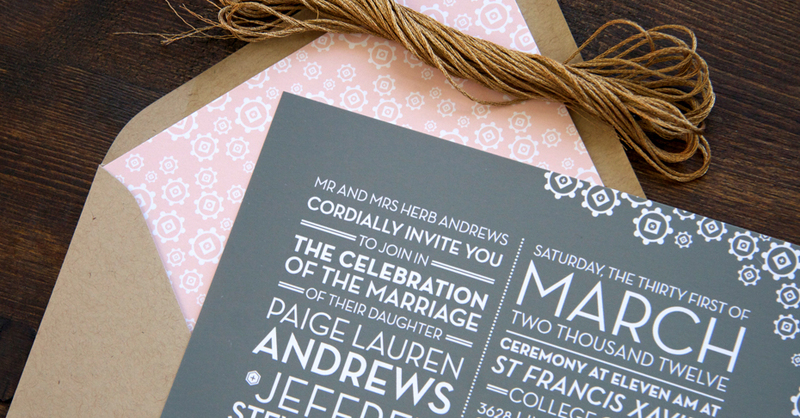 Modern romance, hand-lettering & confetti...YES please!! 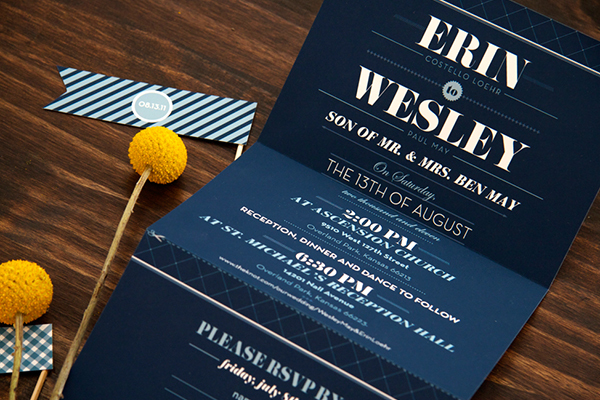 This super fun wedding branding system for the fabulous Allshouse's is bright, refreshing & ready for a big summer party! 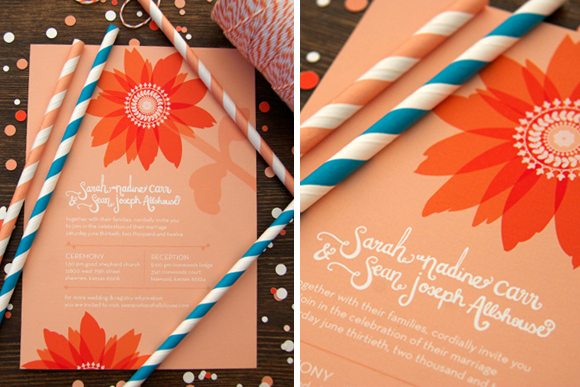 Its modern hand-lettering, cheerful, bold, & fresh colors reflect the couple's playful personalities perfectly! 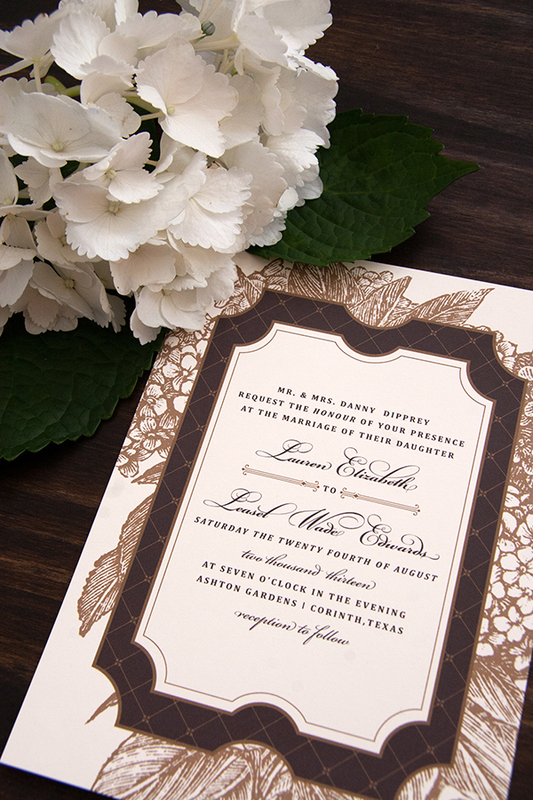 Garden elegance meets a sparkle of romantic glamour in this fabulous custom branded wedding system for Paige & Jeff. 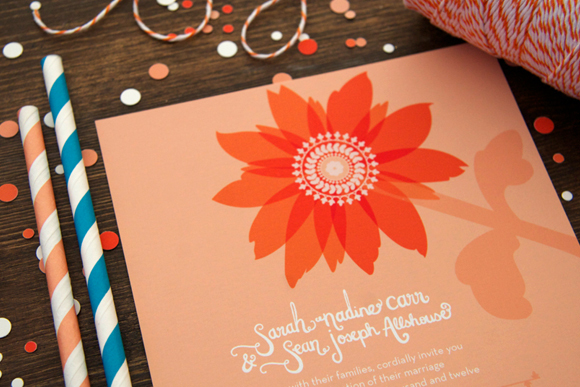 This cheerful pattern was inspired by the Art Deco Style along with the incredibly intricate architectural elements, gorgeous tiles & awe inspiring stained glass window found in St Francis Xavier College Church, where the couple said "I Do." 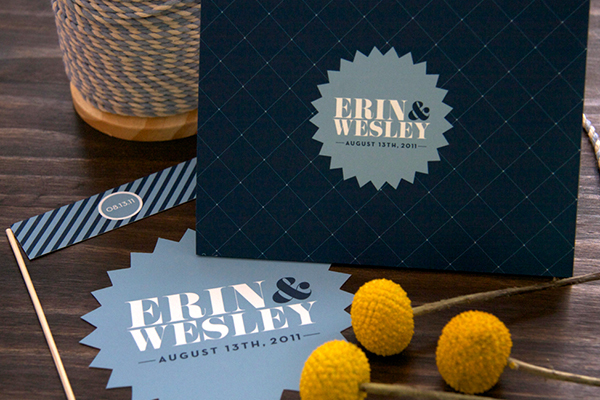 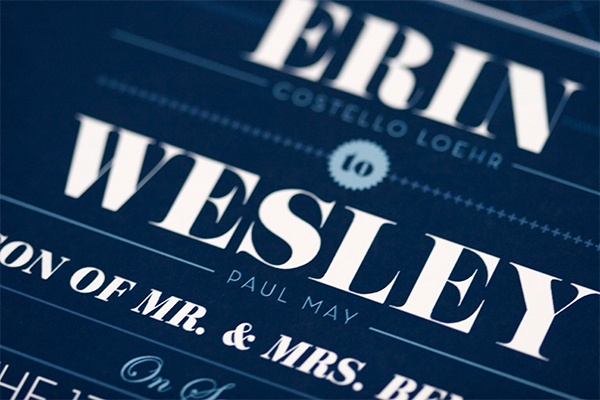 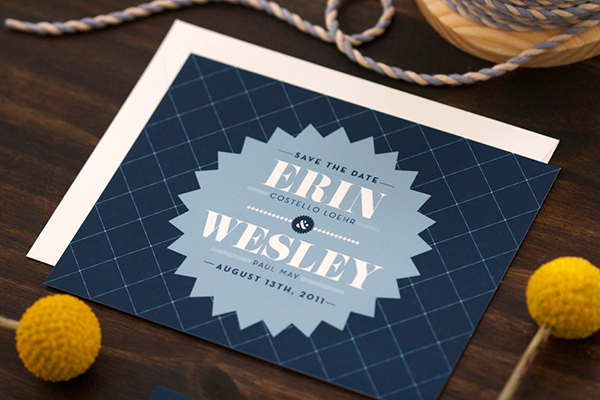 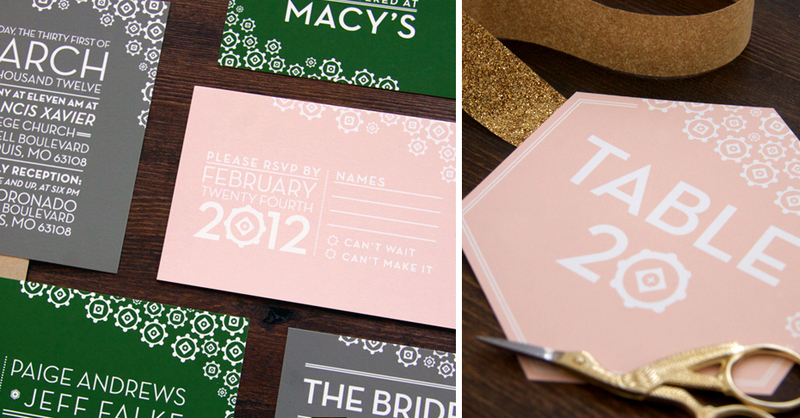 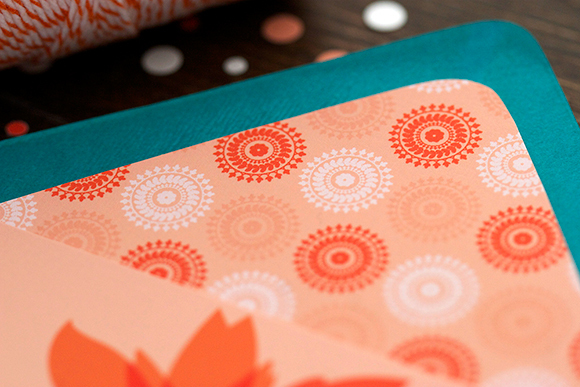 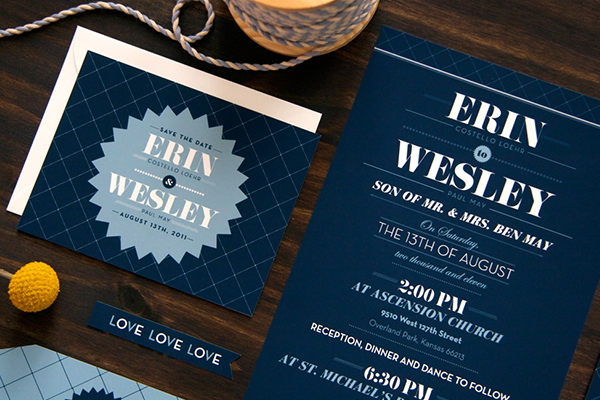 This fun, modern wedding branding system for Erin & Wesley delights in bold shapes and classic patterns. 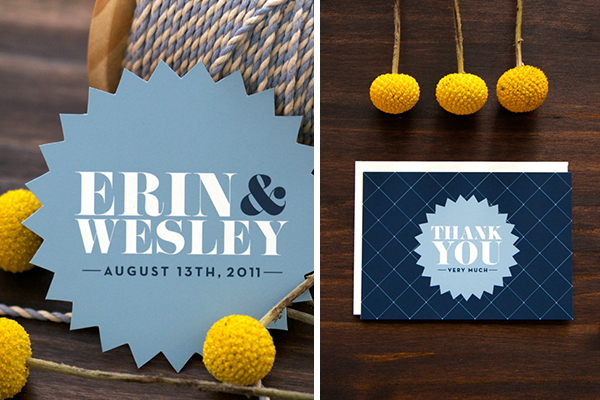 With its doubled sided, trifold invitation, its fun YAY flags, cheerful wine tags & hand cut coasters, these Lovely Paper Things helped to celebrate a fabulous day!